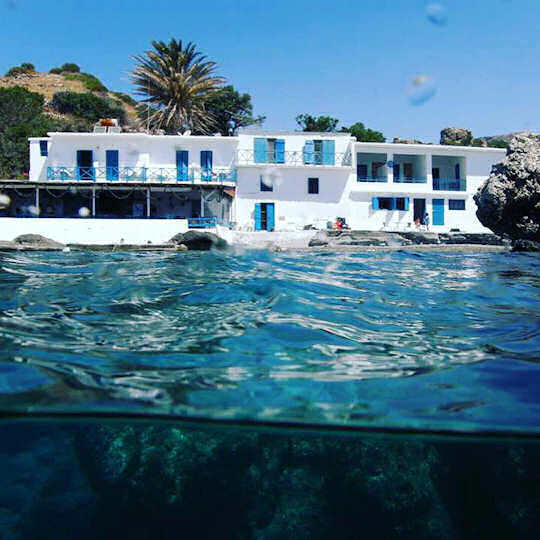 Triopetra Beach - Τριόπετρα - is a beautiful seaside, uncluttered, natural place, located on the southern coast in the prefecture of Rethymnon, just 48 km from Rethymnon Town and 110 km from Chania International Airport in Crete. 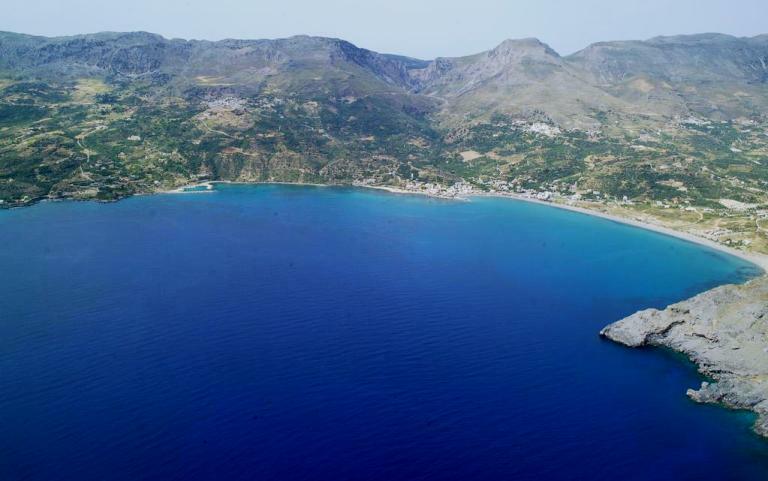 You can also arrive via Heraklion International Airport which is 106 km to the north. If you are looking for quiet and peaceful surroundings, as well as a family friendly beach, this will suit you. There are shallow, safe and protected waters here for all ages, as well as wave beaches. This beach has very little in the way of buildings or development or organisation. It is still a place where you can totally relax in nature away from the hustle bustle of life. Here there is quiet, there are azure clear waters and monumental mountains rolling into the sea. From here you can see the Paximadia islands, you can swim, snorkel and laze on the beach. At the eastern end of the beach are three unusual rock formations, three big rocks sitting at the end of the point jutting out into the sea. Hence the name trio for three and petra for rocks. 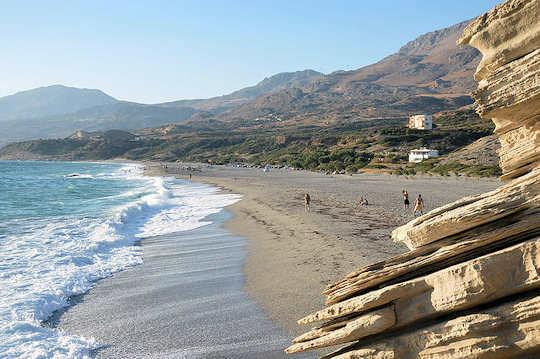 Triopetra Beach is not too far from the city center of Rethymnon. Because it's about 50 km away, so it is a drive through the heart of Crete near the Amari Valley and across the mountians. It is remote and offers wide open spaces for you to unwind and enjoy. 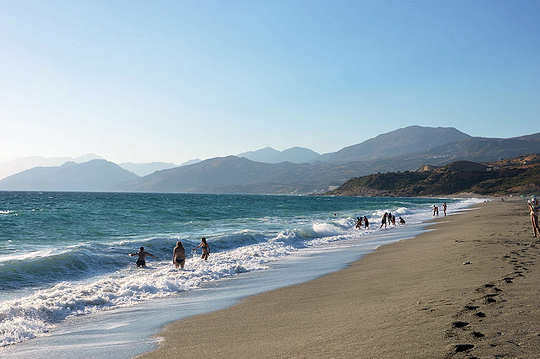 Triopetra Beach has two different areas to choose from, a long sandy beach and one smaller cove with a taverna and some umbrellas, which is actually named small Triopetra Beach. The shallow waters of the cove are ideal for small children and relaxing days at the beach, building sand castles or playing in the shallows. 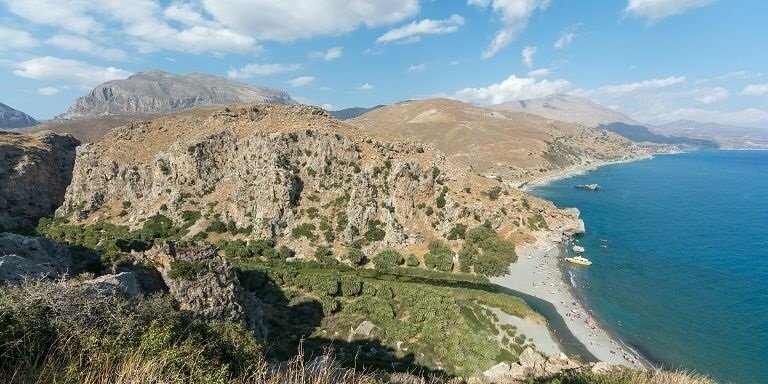 After you have lazed on the beach, swum in the clear aqua waters, dozed on the sand and taken a nap, it might be time to visit the forest or Monastery of Preveli or visit some of the inland villages and historic sights in the Amari Valley. 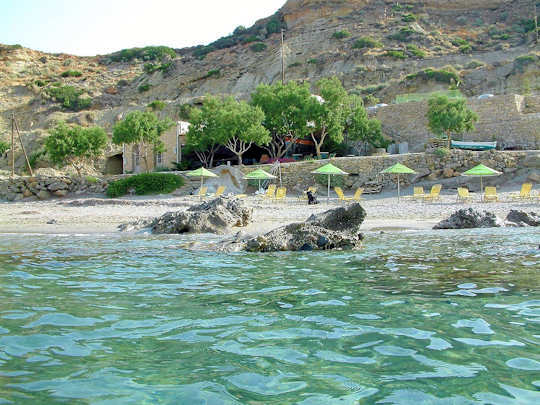 There are plenty of choices of accommodation around Triopetra Beach , not directly on the beach but dotted around the area. 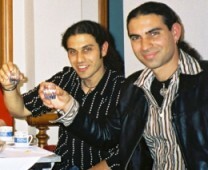 We have chosen a variety that are locally run, where you will experience the real Cretan hospitality. 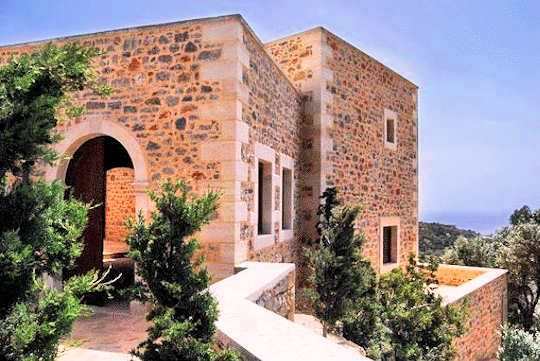 Litiniana Villas - traditional stone villas with exquisite views set on a hillside at the top of a working olive farm 3 km from Triopetra Beach. Very remote and peaceful, with three different villas and a large shared pool. 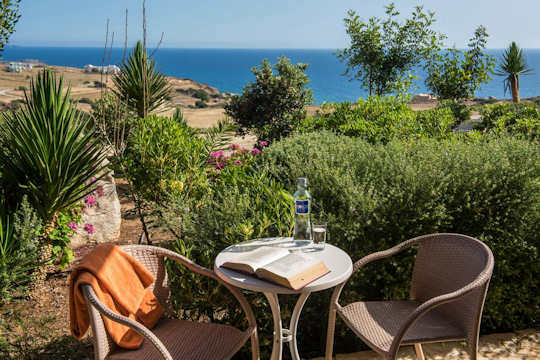 Triopetra Notos Hotel- a lovely small hotel 1 km back from the beach with breathtaking views across the farmland to the sea and over to Paximadia islands. Villa Mirsini - this gorgeous villa is a mixture of traditional and modern design with all the good things in life provided for you. This inspiring local traditional home sleeps 7 guests in 3 bedrooms with 2 bathrooms. Located 18 km from the beach. Ideal for a family reunion. 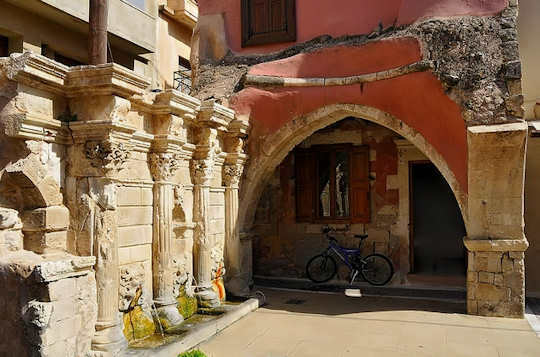 Rethymnon old town is full of surprises amongst its narrow twists and turns. 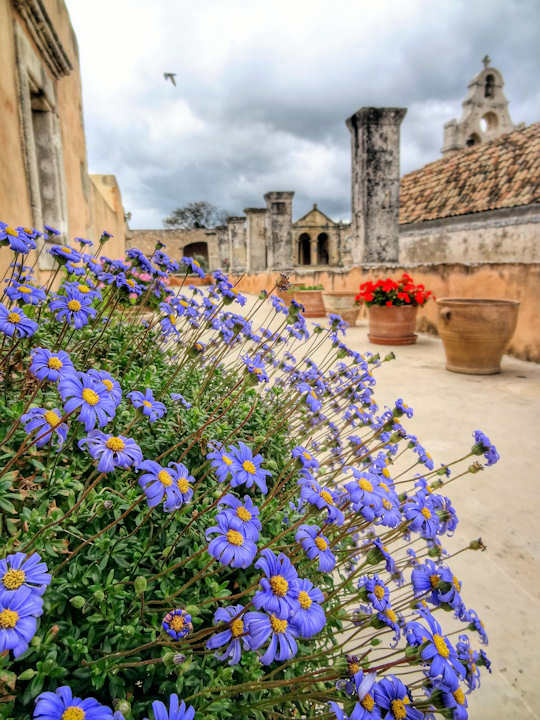 The little harbour is Venetian, as is the fortezza at the top of the knoll, with a beautiful view over the harbours, rooftops and coastline east and west. There are many fine examples of this beautiful architecture dotted around the township, such as the Rimondi Fountain (above). 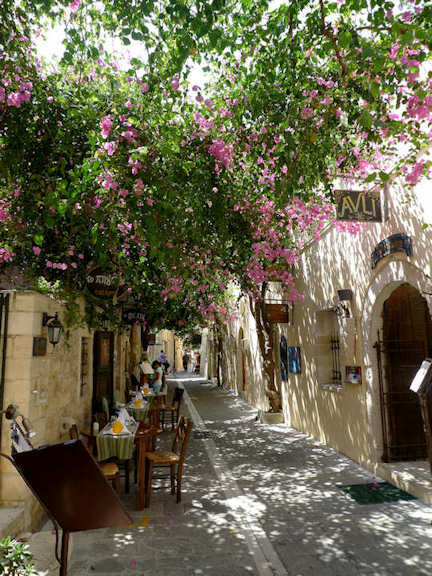 Ottomans also left their mark as the history of Crete unfolds before your eyes whilst wandering the laneways. The coast to the west and east of town has many beautiful beaches, inland is the Amari Valley with history at every turn. Take a 1 hour flight from Athens to Chania with Aegean Airlines or Olympic Airlines, with many flights available per day. Take a 9 hour overnight ferry from Pireaus port of Athens to Chania port. 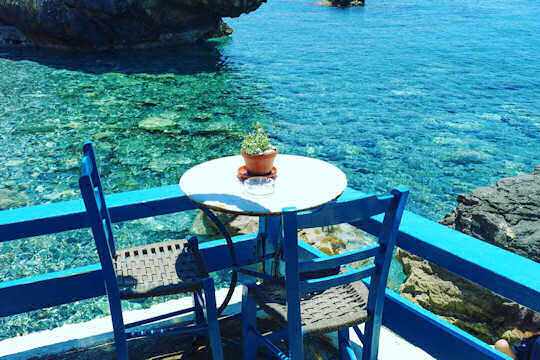 If you pick up your hire car from Chania Airport, it is a very interesting drive through the mountains with views in all directions, stopping at the local village of Spili at a cafe. 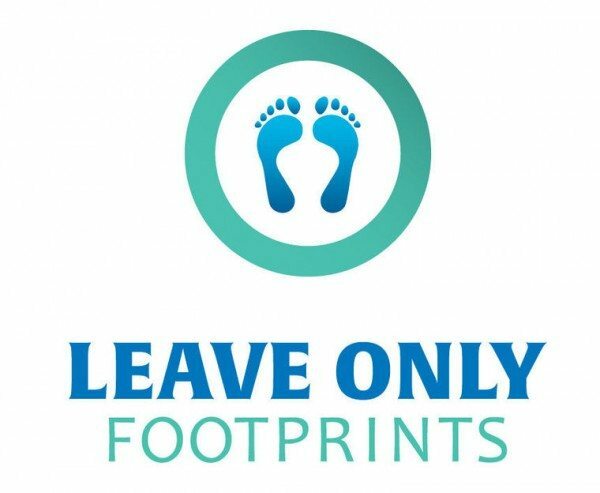 Take all your rubbish with you and don't make any of those silly piles of rocks - leave it as you found it and leave only footprints - because We Love Crete!